Please can someone tell me what are these medias that claimed the WS-15 is not enough mature ? I think most of you do know this useful blog, very well informed, and very competent. That blog is not very competent. Yodello, by78, taxiya and 3 others like this. [...] I think most of you do know this useful blog, very well informed, and very competent. Yodello, FactsPlease, taxiya and 1 other person like this. Where does China's autonomous 300 MW class heavy-duty gas turbine technology come from? According to the "Technology Daily" reported on December 26, China's first self-contained 300 MW class F heavy-duty gas turbine turbine first-stage stator blade casting, successfully passed the appraisal on the 25th. 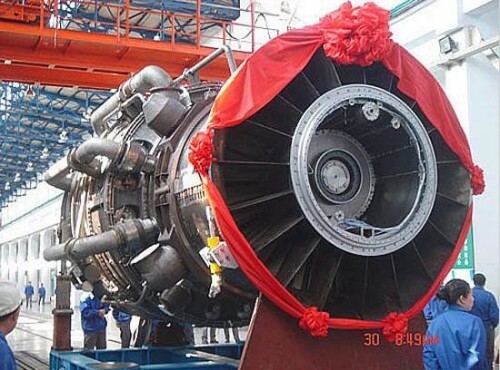 This progress is called the first important breakthrough in China's core components of heavy-duty gas turbines, and it is also the most important milestone achievement of the national science and technology major project "Aero Engines and Gas Turbines". 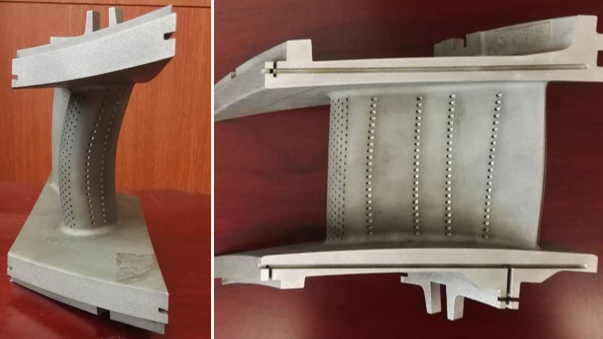 To understand the significance of the so-called "heavy-duty gas turbine turbine first-stage vane castings", it is necessary to understand the position of this product on the gas turbine. The common gas turbine in the contemporary structure is similar to the turbofan engine of the aircraft in its overall structure. The core machine part composed of the compressor, the combustion chamber and the turbine is the key equipment among them, and the hot end part in which the hot gas flow is located. 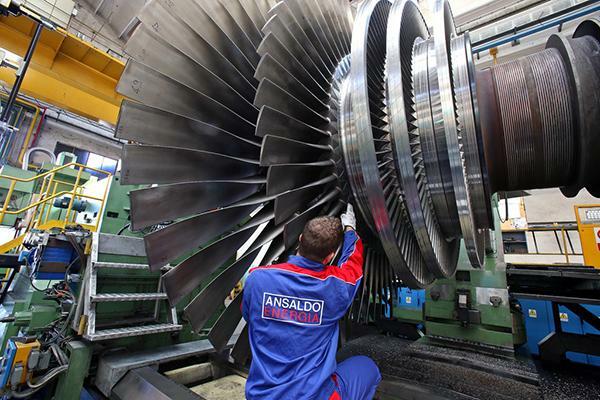 Such as flame tubes, gas turbines, guides and nozzles are the key to their key. 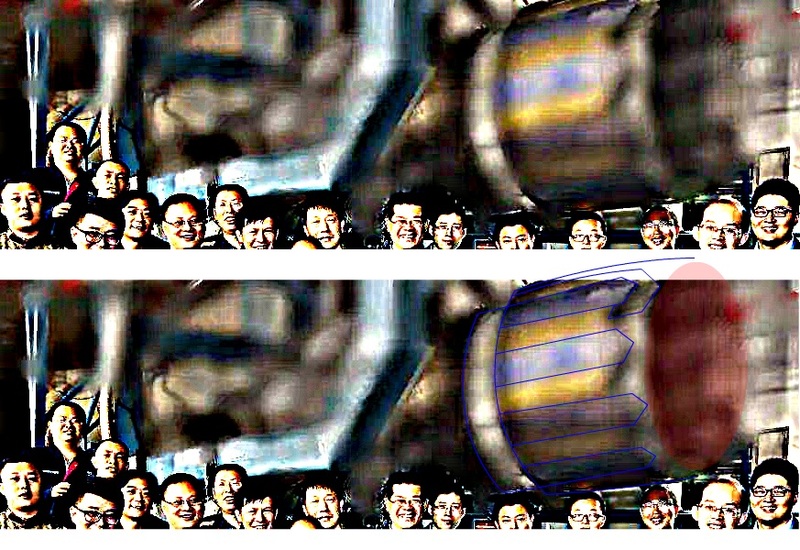 Among them, the main function of the gas turbine is to convert the energy of the high-temperature and high-pressure gas in the combustion chamber into mechanical work, and some of them drive the compressed air of the cold-end compressor to keep the gas turbine running continuously, and the rest is used as the output power of the gas turbine. , to drive generators or other equipment. The “Gas Turbine Turbine Stage 1 Static Blade” manufactured this time is part of the gas turbine component and the first gas turbine to contact the high temperature and high pressure gas stream. The important role of the vane in this is to further expand and expand the gas stream, while reducing the pressure and temperature of the gas, so as to better rotate the blades or rotors in the turbine to produce a power output. Since the first stage vane of the gas turbine turbine is the first to contact the high temperature gas in the work and is always surrounded by the gas, the working conditions are extremely bad, and the gas turbine starts faster, and in the short time during startup and shutdown. To achieve rapid temperature rise and temperature reduction, the thermal shock is also the most serious, so the first stage vane is designed to have sufficient strength and rigidity, but also to withstand high temperature, heat corrosion, thermal shock, and Can't have too much thermal stress. The blades that are generally seen are mostly rotors, staggered with the stationary blades. Due to the technical difficulty and high processing requirements, China's research in the field of gas turbines has not accumulated enough for a long time. It can only imitate products with relatively simple structures abroad, or use aviation engines produced by the aviation industry to be converted into gas turbines. These products generally suffer from poor performance and low power. At the end of the last century, the domestic gas turbine generator system was stagnant because of the severe shortage of oil and gas supply and the energy policy of “refueling with coal”. Until the beginning of the 21st century, China has really launched large-scale technology introduction and independent research and development of heavy gas turbines in the gas turbine field. According to the combustion chamber temperature, these heavy-duty gas turbines can be divided into E-class, F-class and H-class. The technical difficulty and advanced level are also upgraded step by step. Before the large-scale development of F-class heavy-duty gas turbines in China, China started in 2001. 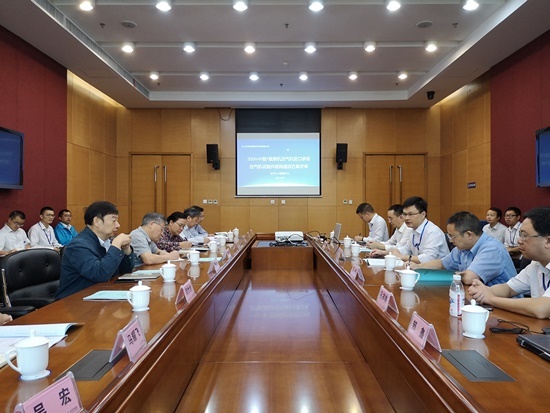 The design and development project consortium consisted of AVIC, Tsinghua University, Institute of Engineering Thermophysics of the Chinese Academy of Sciences, Shanghai Jiaotong University and other units. The R0110 heavy-duty E-class gas turbine was jointly developed and successfully passed the expert group on March 21, 2014. acceptance. On this basis, a number of domestic research institutes have carried out the construction of experimental facilities and self-developed work of F-class heavy-duty gas turbines. Among them, one project is closely related to the development of China Power Investment China's re-ignited 300MW class F-class heavy-duty gas turbine, that is, Beijing Huaqing Gas Turbine Co., Ltd. (formerly known as the Gas Turbine and Coal Gasification Jointly approved by the National Development and Reform Commission in 2008). CGT-60F 70MW gas turbine developed by the National Engineering Research Center of the Cycling. Because this engine did not meet the power of 70MW from the beginning, it was developed as a technical verification machine for the domestic F-class 300MW heavy-duty gas turbine. DigoSSA, davidau, Equation and 2 others like this. In an exclusive interview with Beijing Huaqing CGT-60F gas turbine design team in 2016, the chief designer Dr. Chen Wei made it clear that the purpose of developing CGT-60F is to learn from the experience of international gas turbine giants GE, Siemens and Mitsubishi. Develop a prototype of low-power prototype, break through and master the core technology of F-class gas turbine design and manufacturing, and then use the method of modularization amplification or reduction to form a series of different types of gas turbines of the same technical level in a short period of time. ". As long as the compressor pressure ratio, turbine inlet temperature, overall engine structure, key component materials and processing technology are maintained during the enlargement/reduction process, the prototype can be used in accordance with the above principles and within a certain enlargement/reduction ratio. In a short period of time, you can zoom in/out to a series of products of the same technical level but different power levels, no need to develop new core technologies, and can greatly reduce R&D investment, shorten development cycle, and reduce development risk. The 300-megawatt F-class heavy-duty gas turbine turbine first-stage vane itself is amplified from the first-stage vane model of the CGT-60F gas turbine. 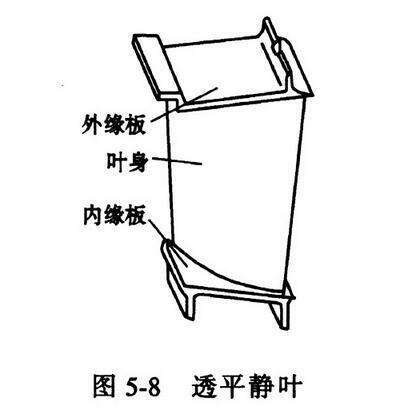 As for the latter, according to the 2016 report of Science and Technology Daily, Beijing Huaqing announced on July 29th that the F-class heavy-duty gas turbine CGT-60F (gas temperature 1400 °C) with full independent intellectual property rights is fully three-dimensional composite tilting. The first-stage static vane successfully completed the high-temperature cooling effect test at the China Gas Turbine Research Institute. The performance indicators including blade cooling efficiency and blade temperature distribution were better than the design requirements, marking a major breakthrough in the design and manufacturing technology of heavy-duty gas turbines in China. According to the introduction at the time, the full three-dimensional composite tilting and calming blade belongs to the domestic and international pioneers in the field of heavy-duty gas turbines. Compared with the traditional straight blades, the full three-dimensional composite inclined model has small aerodynamic losses and high efficiency, but the blade cooling design is difficult, involving pneumatics. Heat transfer and strength are multidisciplinary. After years of independent innovation, Huaqing Gas Turbine Co., Ltd. has overcome many design technical difficulties, established design systems and design specifications, and obtained 11 invention patents; heavy gas turbine blades are large in size, and super alloy blank precision casting is recognized as top casting. Technology, Wuxi Yongsheng Company took the lead in mastering this key manufacturing process in China. The first stage static vane of CGT-60F (70MW) is basically the same as the first stage vane of the 300MW class F heavy-duty gas turbine. In the news report at the time, it was clearly stated that the first stage static vane of CGT-60F (70MW) can no longer need to be tested for cooling effect under the condition of constant inlet pressure and temperature of the turbine. To the Class F 300MW gas turbine turbine blades. This is the technical source of the first self-contained 300MW class F heavy-duty gas turbine turbine first-stage vane casting. Due to the sensitivity of the gas turbine itself and the indissoluble bond with the aviation industry, Chinese and foreign media can easily associate their use with the military. 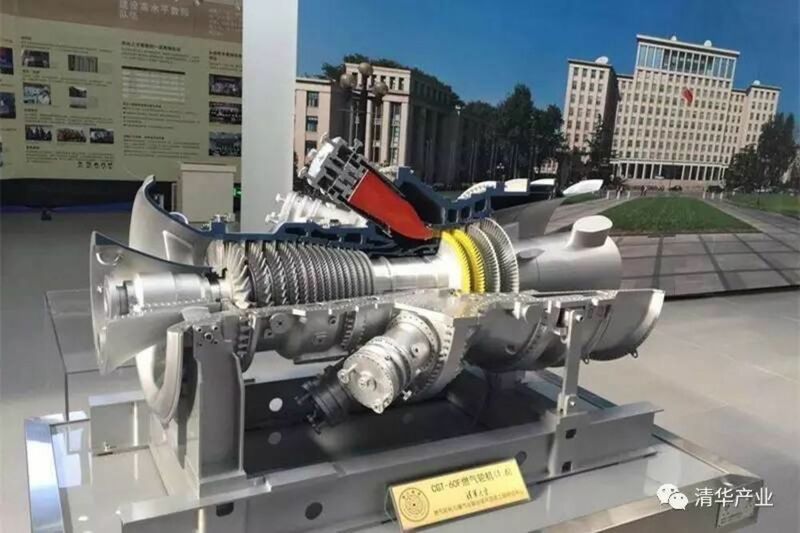 When China successfully developed the R0110 heavy-duty gas turbine, a large number of media reported in the report that it would be used in various military scenarios including the driving of aircraft carriers. The 300MW class F-class heavy-duty gas turbine is too big for any vessel (the US Ford-class nuclear-powered aircraft carrier has a propulsion power of only 104MW), and the fuel used in such heavy-duty gas turbines is natural gas, and its use is also There is not much relationship between driving a ship. DigoSSA, davidau, Equation and 3 others like this. These heavy-duty gas turbines are not suitable for use in ships, but rather simple generator sets. The main use of this type of gas turbine is also for power generation. In general, a gas turbine with a lower power is suitable for forming a circulation system independently of the generator, also known as an open cycle. Its advantages are fast installation, flexible start-stop, and more for power grid peaking and traffic, industrial power systems. 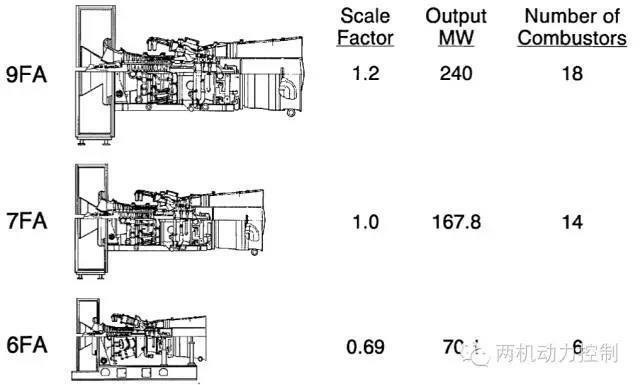 The large-scale gas turbine such as the 300MW class F-class heavy-duty gas turbine is suitable for the circulation system composed of the generator and the associated waste heat boiler. It can use the gas turbine to generate electricity, and can also discharge the high-temperature exhaust gas from the gas turbine. It is recovered by waste heat boiler and converted into steam or hot water. Either the steam turbine continues to generate electricity, or it is used as heating. The steam from the waste heat boiler is injected back into the gas turbine to improve the gas turbine output and efficiency. Regardless of which form is adopted, the fuel utilization rate of this type of power generation is much higher than that of ordinary internal and external combustion engines, and has good economic benefits. DigoSSA, davidau, KIENCHIN and 3 others like this. It is easier to turn an aviation gas turbine into a stationary gas turbine than the other way around. A stationary gas turbine can be a lot heavier. But yes the growing use of natural gas electric generation in China will increase the demand for large gas turbines in China. This will provide a larger market that will drive the need for gas turbine engineers as well as increase their funding. 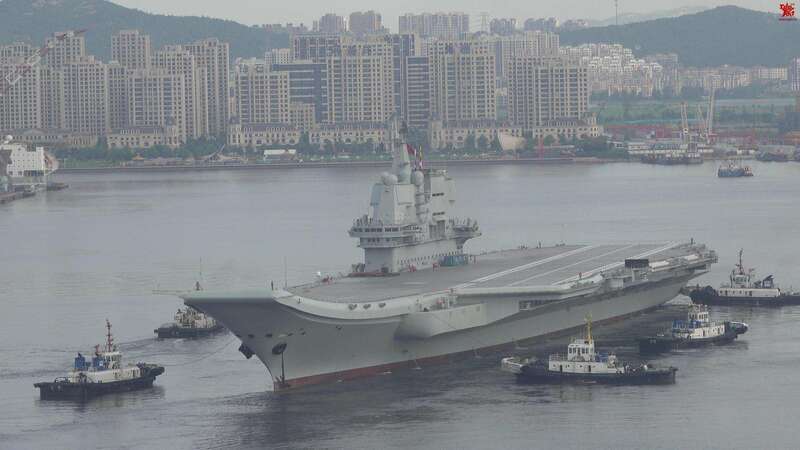 Eventually this will lead to a more robust naval and even aviation gas turbine sector in China. There are possible synergies here with large transport aircraft engine development. Like the CRAIC 929, An-124, or other large aircraft. Figaro, KIENCHIN, jobjed and 7 others like this. Yeah. Petal arrangement is more like an RD-93 than a WS-10. Most of the stealth nozzle parts have not been installed by the looks of it. mys_721tx, KIENCHIN, N00813 and 2 others like this. Tirdent, N00813 and Deino like this.